The event is taken place two times during the academic school year on October 22, 2017 and March 18, 2018 (10am-8pm). Over 400 people attend our event throughout the whole day. This event was made possible by our 18 officers and 40+ volunteers who helped us prep for the event two days prior. Our officers spend the night at a woman’s house who always volunteers to help us prepare for the event for the past 25 years. The event is run like a restaurant where customers can order different dishes and we serve them. 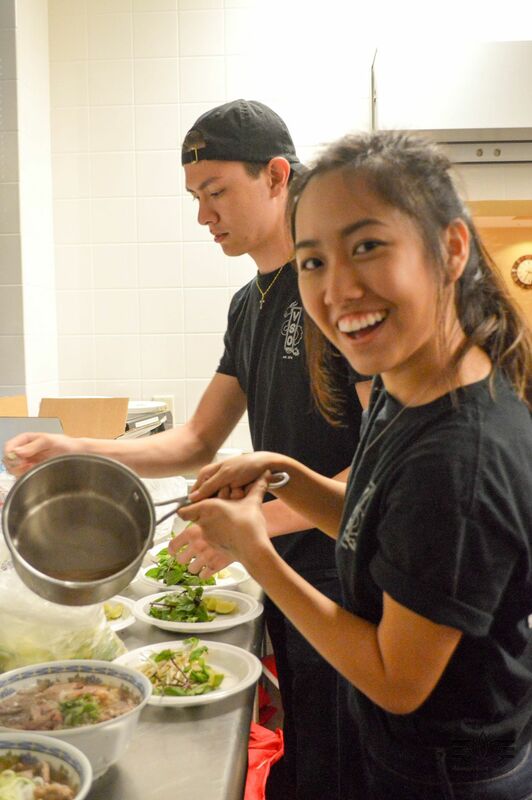 The purpose of this program is to help fundraise money for the Collective Philanthropy Project, raise awareness for the cause, and showcase different Vietnamese dishes (Pho Dac Biet, Pho Tai, Bun Bo Hue, Banh Bao, Pandan Waffles, Bun Bo Hue Chay, Cha Gio, and Vietnamese Coffee. We made use of our resources by keeping track of all our ingredients and using past fundraisers as a guide to how many ingredients we should order and dishes to make. Every year, we get help from three ladies in the Vietnamese Association of Gainesville Florida to prepare and cook all the food. With their help we also reach out to the Vietnamese community in Gainesville to attend our event and show support. We also try to make the event easily accessible to everyone by making To Go orders. We marketed the event by having officers flyer face for the event, mailing over 200 flyers/menus to Vietnamese families in Gainesville, tabled on campus for a week prior to the event, and letting the Vietnamese teaching professor know so that she can pass on the flyer to her department. Philanthropy is a fundamental part of our VSO’s values and pillars. It helps bring together a community of talented individuals and allows them to create familial relationships and bonds while working towards a common rewarding goal to a larger cause. The key motivation that drives UF’s VSO to put on such successful fundraisers would be passion. Our organization is very fortunate to have a board full of officers that are dedicated to each of our fundraisers and even more grateful to have supporting sponsors and volunteers. This type of passion was created through many tireless nights of planning, preparing, and brainstorming. We advertised through social media platforms and through the university’s other cultural organizations. VSO created entertaining promotional videos and skits to raise awareness of our fundraisers. 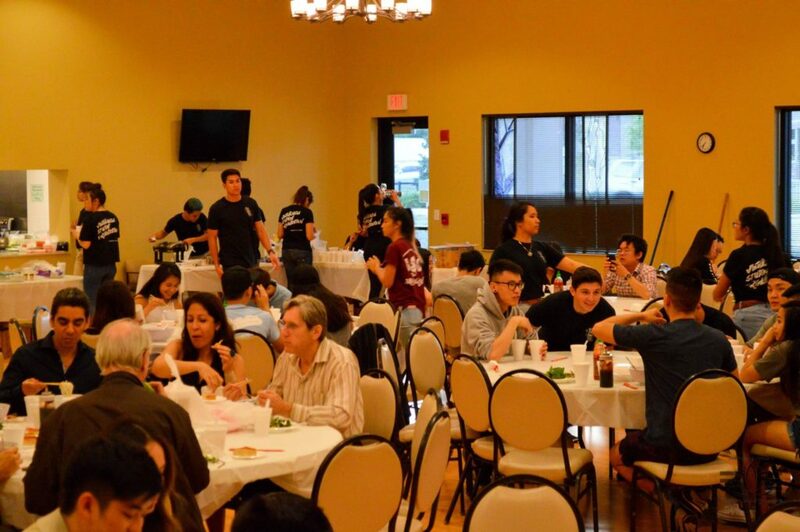 And we could not have been successful without the collaboration with the local Vietnamese Association of Gainesville Florida through their countless promotion and assistance to other Vietnamese communities across the state. Although there were many long nights of logistical planning, problems still arose but our passion and the determination of our organization was visible during those problems. One of the problems we had to face were time schedule difficulties. As students, we should always put our education first. While many students were unable to help with preparation, other members and officers were able to step up and offer assistance when we needed it the most. Our members and board officers worked many additional nights prior to the scheduled preparation days to ensure that we were on schedule, motivated by the same drive, passion. 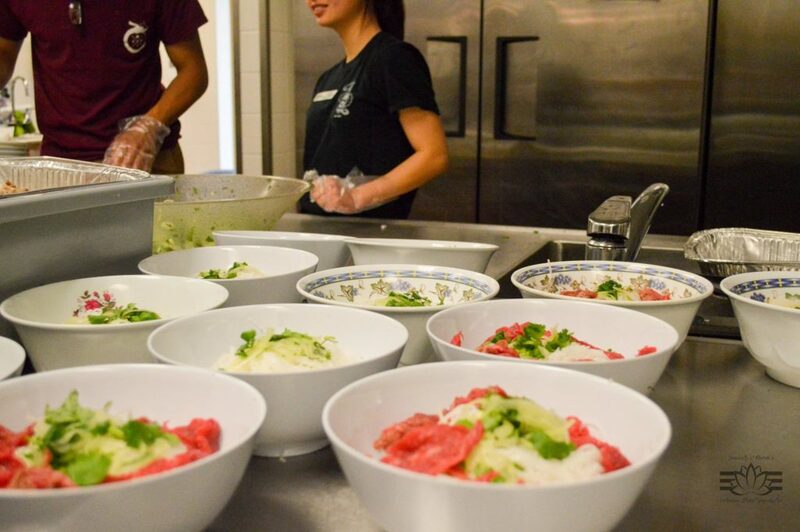 Because of this, our pho fundraisers saw significant improvements in areas of set up/cleanup/preparation times. We ran into a venue issue earlier on in the year, but we saw this as an opportunity to improve on our location. This year, we hosted the event at a much larger and elegant venue, which required a lot more planning and figuring out the layout but was made possible by our determination.